Jamie Bianchini’s laptop screen is cracked. His keyboard is worn, half the keys polished to illegibility by years of tapping fingers. Maybe it’s time for a new computer. Nope, Jamie tells me. This one’s worth $200,000. That meeting was pivotal for Jamie’s company LuDela, a startup vying for $20,000 in funding at the Bend Venture Conference (BVC) on October 19. And that could be just the start. LuDela makes candles, but not the type of candles you’re thinking of. The inspiration for LuDela is a story unto itself. As he rode, Jamie met and befriended hundreds of total strangers of every skin color, nationality, race and religion. And wherever he went, his new friends went out of their way to take him into their lives and care for him. Moved by the generosity and love of the people he met, Jamie began to seek opportunities to give back, and to reduce the suffering and increase happiness in the communities that embraced him. With the support of his sponsors, Jamie distributed malaria medication in Zambia, helped create a clean water source in a small village in Bolivia, and, after being inspired by his friend Innocent—who met and rode with him in Uganda, and told Jamie of his community’s need for books and opportunities for fundamental education—he helped to build and find the funding for a school for Ugandan AIDS orphans and the needy. It was in the West African country of Burkina Faso where the inspiration for the LuDela Perfect candle struck. While staying at a rustic guesthouse in a room lit by candles, Jamie fell asleep. He awoke hours later to a room full of smoke caused by a candle fire, a fire Jamie was able to extinguish with his boxer shorts. The next day, back on his bike, Jamie reflected on his close call the night before, wondering if there was a better way to enjoy the natural light of a candle with less risk of accidents. 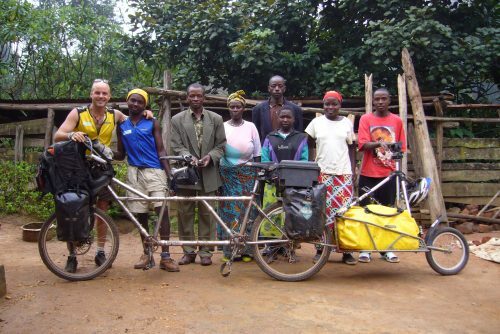 And on that tandem bike, on the rural roads of Burkina Faso is where the idea for the LuDela Perfect candle was born. Now in pre-production, the LuDela Perfect candle may soon be providing bright, safe, natural firelight to anyone who wants it. And if it does, it’s not only buyers of the candle who stand to benefit. Jamie has established LuDela as a B-Corp, a company that uses business for good, and meets the highest standards of verified social and environmental performance, public transparency, and legal accountability to balance profit and purpose. For every candle sold, LuDela will donate a book to help build libraries in underserved communities, creating the foundation for a movement of literacy around the world. 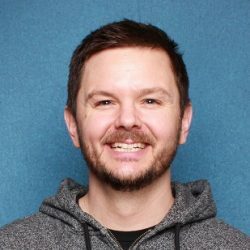 Jamie began working out of the BendTECH coworking space in September 2018, and he’s already found that being a member of the BendTECH community has huge benefits. 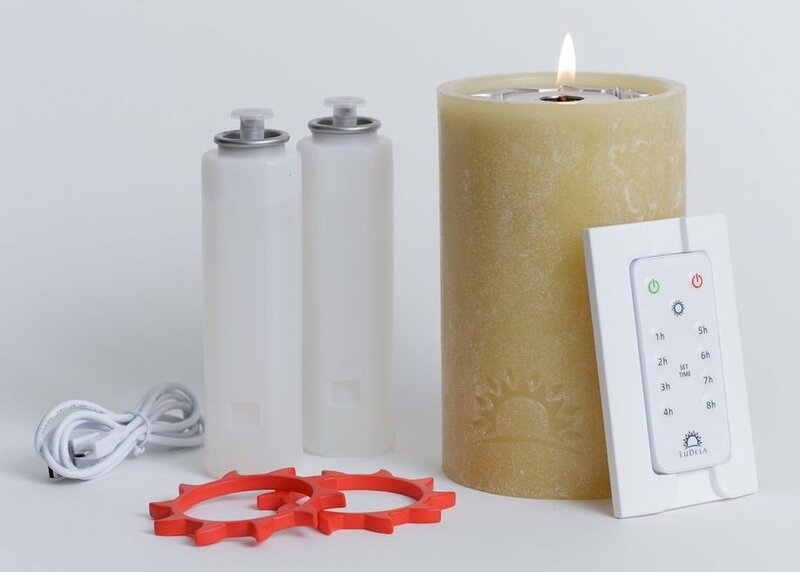 Jamie relates a story of how, when he was scrambling to prepare for his first presentation to the Bend Venture Conference, three BendTECH members who work for Apricity “dropped everything” to design the LuDela Perfect candle in order to enable it to function via the control of an Amazon Alexa. Jamie’s convinced that the added functionality is what advanced LuDela to the final round of five startups competing at the BVC. Jamie’s glad to have the help. 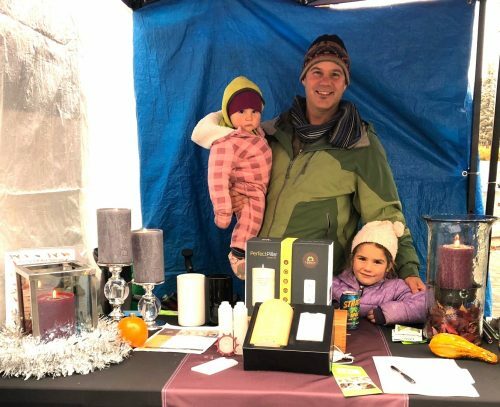 He’s hoping to have the LuDela Perfect candle stocked and ready to ship by early December, just in time for the holiday shopping season. At the same time, he’s polishing his pitch for the final round of the Bend Venture Conference on October 19. “Things are a little hectic right now,” he admits. But with the BendTECH community rallying behind him, Jamie knows he’ll have all the support he needs, even when he’s burning the candle at both ends.